MapleStory 2, the new isometric MMORPG finally arrives in the West today. The sequel launched in Korea all the way back in 2015, but is now out elsewhere in the world, following a closed beta that took place earlier this year. For those of you not familiar with MapleStory, it blends some of the standards of the MMO genre’s fantasy traits with some aspects of the modern day. Also moving from the traditional take, MapleStory combines isometric worlds with Chibi-style characters. It’s due to go live later today, with server maintenance due to end in a few hours’ time. 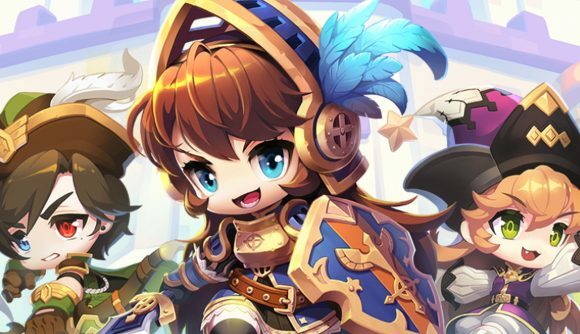 As mentioned above, the MapleStory 2 closed beta kicked off in the Americas, Oceania and Europe back in May, but some players will have had something of a jump on others. Those who bought into the Founder’s Pack will have access to the game’s Premium Club, and been rewarded with some in-game currency. Head Starts were also available, which let players who bought in have access to the game from October 1. MapleStory 2 retains the series’ focus on customisation, allowing you to change up everything about your characters. There’s a brand-new class, however – Runeblade. It joins the Archer, Assassin, Beserker, Heavy Gunner, Knight, Priest, Thief, and Wizard classes, and wields a magical two-handed sword. Maintenance on MapleStory 2’s Western servers is due to end at 18:00 BST (13:00 ET), so you’ll be able to play later tonight. Sadly, the MMO’s take on the battle royale, Mushking Royale, won’t be available at the game’s launch, and will return with the start of the game’s first competitive season. You can check out the game’s official announcement trailer in the video above.